IVF patients who have completed their family sometimes face a difficult decision about the disposition of their remaining embryos. Family Fertility Center offers the option to donate their unused embryos to another patient or couple. Donating your embryos to other patients who are yearning to become parents is a very generous act. Embryo donation occurs when a patient or couple donates their remaining embryos from a successful IVF cycle to another patient or couple, so that the recipient(s) can have a baby of their own. The recipient mother has the embryos transferred to her uterus. The resulting child is genetically related to the donors, yet is carried and raised by the recipient parent(s). Embryo recipients are established infertility patients at the Family Fertility Center. They choose to use a donor embryo because they may have male and female factor causes for their infertility, previous failed treatments, or very low chances of success with other fertility treatments. They may be couples or single women. Embryo donation is relatively new terrain, and there is much we still don’t know about its long term psychological, social, and legal implications. While this is an ongoing area of active research, it is important that patients enter the process as well-informed as possible. Both donors and recipients must understand that the recipient couple will be the parents of any child that may be born, even though the child is genetically related to the donors. The child will derive their innate traits from the donors, yet the recipients will be raising the child, and thus will provide the nurturing environment in which the child will grow and develop. It is common for donors to have concerns about having a child born from their embryos raised in another family that they do not know. Potential donors need to carefully evaluate and understand how they may feel about wondering if their embryos ever did lead to a child and if so, how the children are doing. It is recommended that recipients plan to share with their child at some time in the future the nature of how the child was conceived. This is important so that the child can have accurate information about his or her genetic history. Also, parents who don’t share this information with the child run the risk of the child finding out accidentally or from someone else in the future. Therefore, recipients and donors must understand that, someday, the child(ren) born from embryo donation may want more information about their genealogy or genetic health history. In addition, some children born from embryo donation may want to meet the donors and their families. It is important for donors to consider how they might feel about these possibilities. Although we encourage donors to be open to helping the next recipient on our waiting list, donors are permitted to make personal restrictions regarding marital status, ethnicity, religion, gender, and sexual orientation. If desired the individual or couples who donate their embryos may be notified if their embryos are donated and of the outcome of the initial pregnancy test. We cannot guarantee further information about the outcome of the pregnancy or birth of a child. It is important to keep in mind, that most embryo donations are anonymous, meaning that the donors and recipients do not know each other before the donation and do not exchange identifying information. If specifically requested by the embryo donors and consented by the embryo recipients, we can arrange open donation cycles, where all parties meet and maintain a relationship, depending on the desires of donors and recipients. There is also the possibility that adult offspring of embryo donation will eventually want to talk to or even meet the donors and/or the donors’ children. The Embryo Donation Program at the Family Fertility Center serves our patients in two important ways. For recipients, we are able to provide another family-building option to our fertility patients. For donors, we are able to provide our former IVF patients with a very special option for the disposition of their unused embryos. Embryo recipients must be or have been patients at the Family Fertility Center. Our physician will help you decide whether or not you are a good candidate. Embryo donation is a lower cost option than traditional IVF. Types of patients who might consider embryo donation include those with male and female factor infertility, previous failed treatments, or very low chances of success with other fertility treatments. In screening donors, we abide by the guidelines from the American Society for Reproductive Medicine, ASRM, and the United States Food and Drug Administration, FDA. To determine if embryos are eligible for donation, our medical and laboratory teams at the Family Fertility Center review the patient’s chart and the laboratory information to determine whether the embryos can be offered to potential recipients. Screening factors include patient’s psychological readiness to make a donation, family genetic history, and age of the female donor – the egg donor’s age must have been 35 years old or younger at the time when the embryos developed. Detailed review of health, medical history, and fertility history. Detailed review of cycle characteristics and embryo quality. Genetic screening for family history of birth defects or hereditary diseases via a comprehensive family history intake and assessment, where possible. Genetic testing for blood type, cystic fibrosis and certain genetically determined blood disorders such as thalassemia, and other genetic testing as appropriate. In spite of our careful screening process, we cannot guarantee the success of the thawing and transfer process, nor can we guarantee the health of any child that might result from the donation. Recipients will receive many types of information about the donors and their background, including physical characteristics (e.g., height, hair and eye color), ethnic background, blood type, family medical and genetic history, educational background, and personality characteristics. Donors are also encouraged to share photographs of themselves and/or their children. Because our program is new, we have limited data to offer statistics of success rates for this specific program. We estimate, however, the success rates will be similar to that of frozen embryo transfer success rates in our practice in general, which is about 30-40% per cycle. Some embryo donors may be open to meeting the recipients. Please let us know so we can relay your request to the particular embryo donor. Please speak with our financial staff regarding the specific cost for an embryo donation cycle. Full payment is due prior to thawing of the embryos. We currently have more recipients waiting for embryos than available embryos, so there is a waitlist. There is no cost to adding a name to the waitlist, so patients can do this even if they are not sure if embryo donation is right for them. Note only established patients at the Family Fertility Center may place their name on the waitlist. Although we encourage donors to be open to helping the next recipient on our waiting list, donors are permitted to make personal matching restrictions regarding marital status, ethnicity, religion, gender, and sexual orientation. Therefore, the waitlist may be longer for certain patients depending on the requests of the particular donors we are working with at that time. Once embryos are offered to potential recipients, they have 30 days in which to submit a non-refundable deposit of $500 to reserve the donated embryos, and an additional 90 days in which to begin their frozen embryo transfer cycle. If a potential recipient or recipient couple declines to go forward with the embryos offered, we will proceed to the next recipient on the waitlist. Patients may retain their place on the waitlist for the next 12 months. If you decide you are no longer interested in receiving donated embryos, please let us know. Having an up-to-date waitlist helps us to give interested recipients better estimates of their wait-time. Once a patient submits their $500 deposit, they have access to all the embryos available from that donor until they achieve a pregnancy and deliver a baby. If a recipient does not become pregnant using that donor’s embryo, she may ask to be placed back on the waitlist. Once a recipient delivers a baby, she also may choose to retain any remaining embryos for future use. 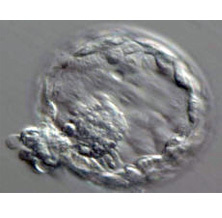 To do so, she must pay storage fees to Family Fertility Center for one year of storage of the embryos. After one year, all embryos stored on her behalf will be transferred to a long-term storage facility. If the recipient no longer desires the remaining embryos, Family Fertility Center will offer them to another patient. Donors sign a consent form stating that at the time of the transfer, they are relinquishing all rights and responsibilities regarding their embryos. There are no laws in Pennsylvania concerning embryo donation, however, recent court decisions suggest that in the case of donated eggs and sperm, the recipient parents will be recognized as the legal parents. Embryo donors and recipients are urged to consult their own attorneys for further clarification of their legal concerns.